to all those who celebrate. May the year of the Goat/Ram/Sheep bring you abundance and joy. This week is the week of ick - update. So, with the shift in seasons, bam! colds, the flu and other ailments strike down a sizable portion of the populace. Ok, that was dramatic. But yes, I was/am down with the ick. I am now convinced to get a nasal spray, because of allergics. I hate my nose, at the moment. This Friday will be Yuan Xiao, the 15th day of the Chinese New Year celebrations. It will be also be Valentine's Day and a full moon day. Awesome day. Another tale, tied to the Myriads universe: Looking For Trouble. And... Chinese New Year is this weekend! Two days into the Chinese New Year. Second day of the Chinese New Year is now officially over. Visited my side of the family today and caught up with my favorite cousin who came back from Scotland. Ate a lot. Talked a lot. The girls enjoyed themselves tremendously. Came back to consume awesome chicken and abalone soup. More eating of popiah. Now, winding down for the night. I put up pictures on my writery blog: Enter The Water Dragon. Likewise, the novella offer - I have extended it for an extended period. 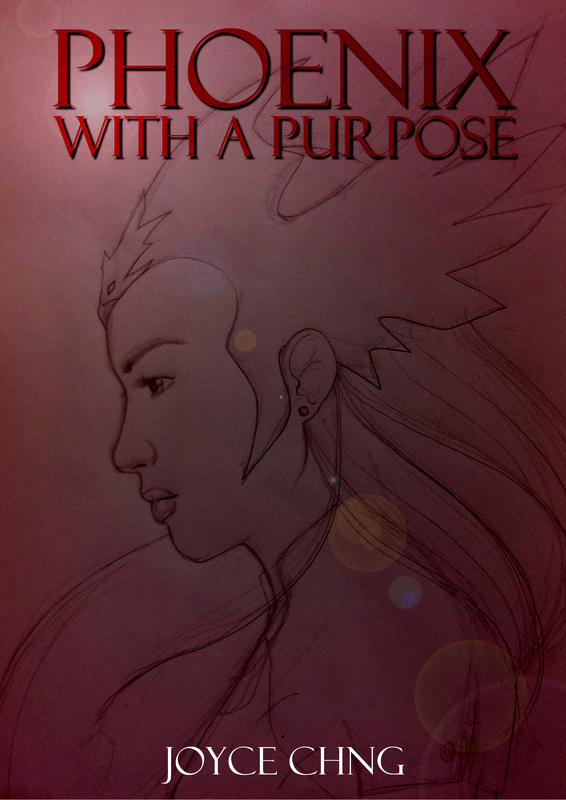 If you like Asian YA (young adult) SFF with a futuristic setting and flying alien pterosaurs, get it at Smashwords. You noticed that I am posting at DW. LJ is on the fritz again. I went for the interview at a local polytechnic. Fingers crossed for round two? And Gong Xi Fa Cai! For a limited time only, I have posted a YA novella, Rider, in its entirety, on Smashwords: here be dragons. Onwards to... Lunar New Year. Next interview on this Thursday. Posted Chapter Eight of Path Of Kindness. Updated A Wolf's Tale. Help my UF! Started swimming again. I am determined to lose some weight and look cool at the same time. Lunar New Year is this weekend! Midweek state of the Saber: midweek blues. Suffered an attack of the emo/blah... but I am feeling much better now. I do not need approval from other people. I do not need validation. Seriously, Twitter, you are filled with needy vibes. Cub has a point when she told me that I should give Twitter a break. That's the dilemma, dear. I like the interaction and the flow of information. Yet I am becoming fatigued by the constant self-promotion tweets, granted that I am part of it as well. Me, me, me - and are these people actually listening? It's like radio. You have to listen closely to the static just to sift out the real voices. Preparing lesson plans now. I am spending a whole day in school. It's Ren Re today, which means that everyone celebrates his or her or hie birthday. Happy birthday, everyone. Hao hao zuo ren. Now to gird myself for the staff meeting! Monday state of the Saber: mid-CNY week. Fifth day of the Chinese New Year. Most of us - well, in Singapore - have gone back to work. And boy, Monday came back with a vengeance. Awful traffic jams caused by accidents. I saw a pair of sport shoes, strewn apart from each other, while a fallen motorbike lay desolate on the road. Took almost 30 minutes to clear one stretch of the expressway. By then I was already late for work. Work is interesting. I feel...creative. Dot has fever, but it doesn't seem to hinder her. I suspect a growth spurt. And SPORE-CON 2011 is in the works. I have TO duties! Now to be motivated like this for the rest of the year! Happy Imbolc and early Chinese New Year. Sunday state of the Saber: Rain-apocalypse! It's been pouring for the past few hours! Later, reunion dinner with my folks. Monday state of the Saber: one week before New Year. And hellbells, I haven't gotten my clothes yet. And shoes. I had visions of myself going steampunk, but that would cause some consternation, wouldn't it? So. Tomorrow. Must go buy clothes and shoes. I also dread this week, because it leads up to the red river that should NOT be named. Still mulling over promotion stuff. Must take a trip to Sunshine Plaza. Poke a few people. Still struggling with body issues. The exhaustion scares me. Friday state of the Saber: updates. I started teaching creative writing in a local primary school. The kids are about 11-12 years old. The first lesson was okay-ish, covering structure, beginning and setting. Lunar New Year is fast approaching. I need to get my clothes asap. My body seems stuck in "exhausted" mode. Exercise, exercise, exercise! On writery news, book two of the urban fantasy series has been accepted! I am mulling on promotion stuff for Wolf At The Door. Sunday state of Saber: am so ready for February. I am so ready for February. Chun jie. Spring Festival. Lunar New Year. At the moment, I still feel as if I am in a limbo of some sorts. Today, I slept in. Totally exhausted for no particular reason. Tonight, I also did writery admin and edits. Sent to editor. And as I have said, I am so ready for February. The First Day of the New Year: Family Ties. We all congregated at my grandmother's: my aunts, my uncles, my cousins and their children. My grandmother smiled, surrounded by her children, grandchildren and great grandchildren. Then all the cameras came out and family portraits were taken. Someone rigged up a digital photo-viewer and they had somehow uploaded pictures from a long time ago, when my cousins and I were still kids, our parents still young. I saw myself, when I was ten or eleven, and suffered a moment of embarrassment, cringing. But yes, we have all grown up, our parents older. We have children of our own. I love all these pictures, visual history for our children and their children. This is your grandmother. That is your granduncle. This is your cousin. We have grown up. The family ties are still as strong.